If you are injured on the job in Massachusetts, you probably have many questions. What are my rights? 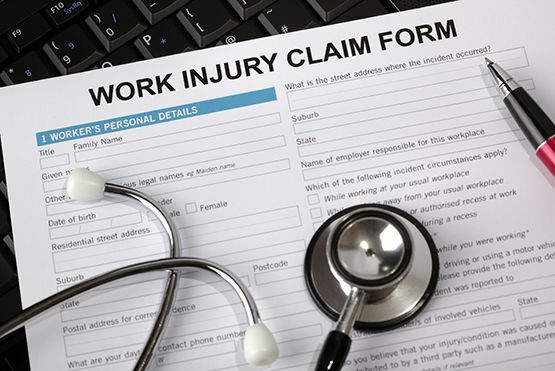 What does the process of obtaining workers' compensation involve? Am I allowed to use my doctor? At Pellegrini, Seeley, Ryan & Blakesley, P.C. (PSRB) our worker's compensation attorneys can answer all of your questions and help you through the process so you can receive the compensation you deserve for your injuries. Many times, worker's compensation insurance adjusters deny claims outright or deny claims for necessary medical treatment. Often, they also insist that the injured worker consults a doctor chosen by the adjuster, not by the worker and the insurance company often pays this doctor. Meanwhile, the attorneys representing the employer often argue that the injuries are not the employer's fault but rather due to circumstances they are not responsible for causing. One frequently used tactic employed by insurance companies and their lawyers is to offer the injured worker a timely but inadequate settlement. When a worker is injured and unable to earn a paycheck, taking this quick payment can seem attractive, even though the injured employee may regret taking the payment in the future as medical expenses pile up and wages are lost due to an inability to return to work. Why You Should Hire Pellegrini, Seeley, Ryan & Blakesley, P.C. No matter how simple or complicated your workers' compensation claim, you should hire a lawyer to protect this interests of yourself and your family. You may not want your employer to know that you've sought counsel and we respect that. You may only need someone to answer your questions and be available if a problem arises. We can do that as well. But you may need an experienced advocate who can aggressively pursue your rights before the Department of Industrial Accidents, and Pellegrini, Seeley, Ryan & Blakesley, P.C. has been doing that for over 40 years. We will aggressively pursue claims for benefits from the initial filing of the claim through all stages of a workers' compensation claim. For your own protection, contact a lawyer today. If you choose to contact our office, one of our experienced attorneys will spend as much time as you need answering any questions that you may have.